We knew him as Sarge or Military Frank! You couldn't miss him. Frank was a big dude with a big personality. He was loud, opinionated, embarrassing, dominating and ever present. ...but, if you were in his good books; man, did he love you and stand up for you with immense energy and an uncontrollable passion! ... and most of us were in his good books, and man, did we love this eccentric fella who'd draw attention in any room! 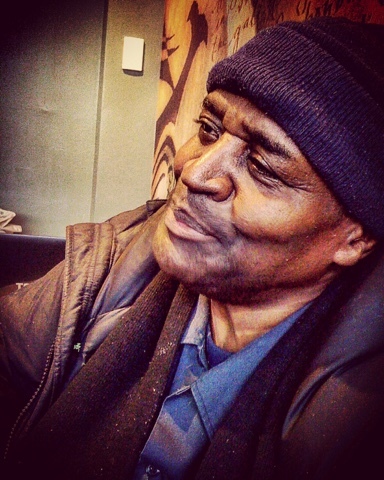 Frank was a Vietnam veteran who ended up experiencing homelessness in Chicago. When he arrived and stayed at CCO for a while, nobody could hide from his military experience; he spoke of it, lived it out and breathed it. It embodied every aspect of his existence! All day, every day, Frank couldn't escape this period from decades before. He fluctuated between his pride of serving his country, the agony of witnessing and experiencing horrifying things and having been through a war that he would later question! I have 2 children; so most of you know what that means! Even when I get in a slightly bad mood, they let me know! I love them dearly, but they love to remind me how salty I can be and that when I'm grumpy, I'm not fun to be around and that I'd better deal with my attitude. We all go through things, we have tragedies, dislike what's going on and sometimes we just wake up in a rotten mood; that's normal! My kids remind me that it's how I respond that's important. My kids remind me that I gotta deal with whatever's going on and that I can't let it linger and hurt others. The Bible isn't full of people who were always perky and happy. 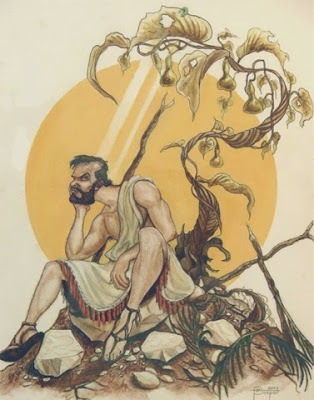 In fact, God used a bunch of men and women who experienced some pretty crazy stuff, got in bad moods, got depressed, got down, got angry and had to respond. They had to ask themselves the same question we have to ask ourselves; how do we not let our bad moods consume us?